I haven’t read this book yet, but I do agree that changing the title (even though you’re still aren’t sure you like it) was a good idea. Probably, like most people, I thought it was the second book to a series, and thought the entire time while reading your post, that I need to see the cover of the first book as well… Other than that I can’t really judge the cover because I haven’t read the book yet, I do like the bright orange though! I haven’t read the book as yet but I was kind of disappointed with the cover and title change. 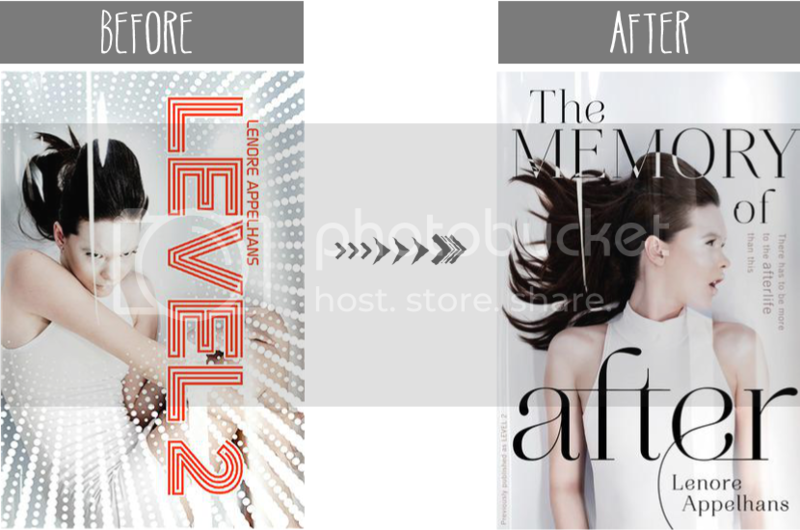 Granted the change isn’t bad but Level 2 sounded so much more interesting in my mind than The Memory of After. However, it didn’t cross my mind that this could be seen as the second book in a series. I do agree with the passivity factor of the cover change, though. I like when the books don’t have girls with dresses on them and it’s supposed to be a dystopia/sci-fi book. Mostly though, they could not have used a girl if she is supposed to be bald giving them countless of options to go with. And yes to the orange font, it pops out and looks pretty neat! While I am not real fond of either of the covers, I do prefer the original over the new one. I also do not like the title change to this particular book, either. I read on the FB page (of the book/author) that they changed the title because having the number 2 in the title made people think it was a sequel. That doesn’t make sense to me. “The Memory of After” is much more sequel-sounding to me…..sounds like it follows up a book called “My Life Before” or such. I do still want to read the book, though. I miss the pop of color too-that was what really caught my eye initially. Still I really do want to give this book a try no matter what the title is because I’ve heard some intriguing things.